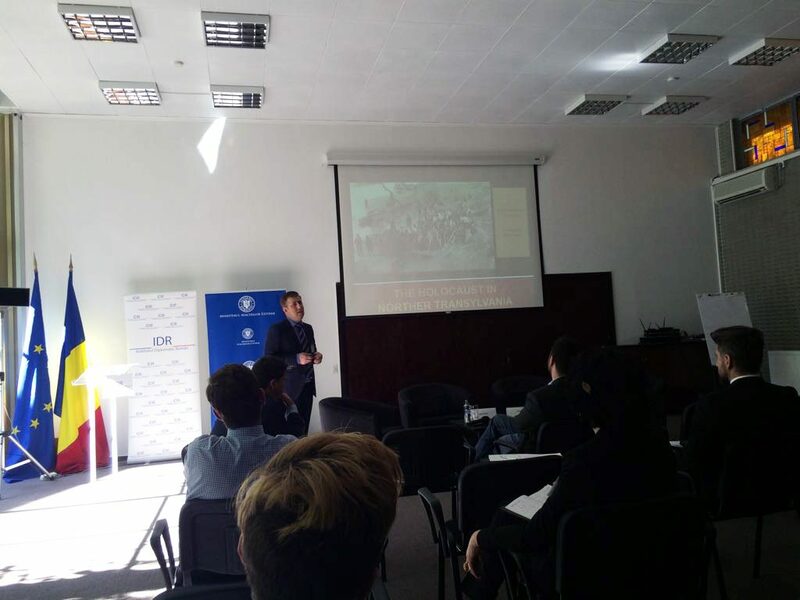 In partnership with the Romanian Ministry of Foreign Affairs and the Romanian Diplomatic Institute, the Auschwitz Institute for Peace and Reconciliation recently held a National Training Seminar for the Prevention of Genocide and Mass Atrocity in Bucharest. 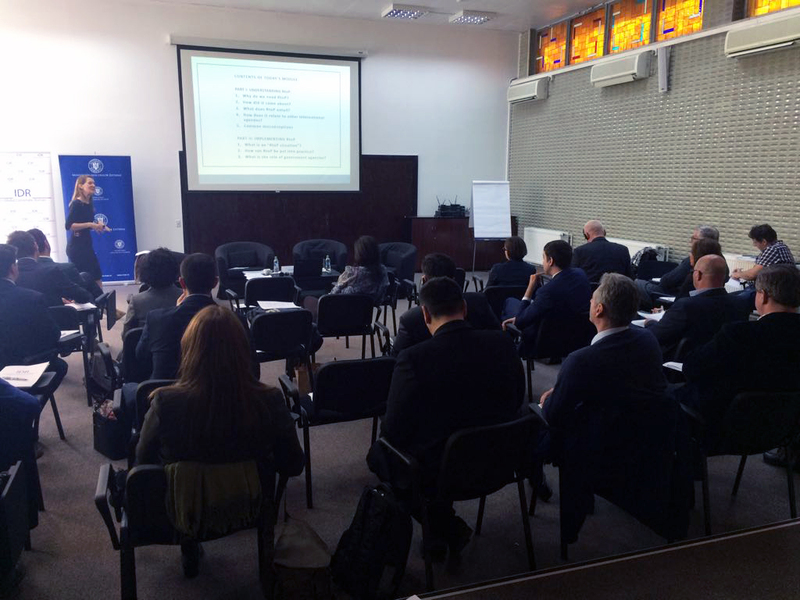 Taking place on October 12-13, the event represented AIPR’s first national-level training seminar in Romania and welcomed 25 participants drawn from the Ministries of Foreign Affairs, Interior, Justice, Defense, Education, as well as personnel from the Office of the Military Prosecutor and relevant academic institutes. The objective of the seminar was to provide guidance on how atrocity prevention policy is connected to the work of State officials and the role they play in supporting such programs. To accomplish this, participants were introduced to the concepts of genocide and other atrocity crimes, and the processes by which they occur. 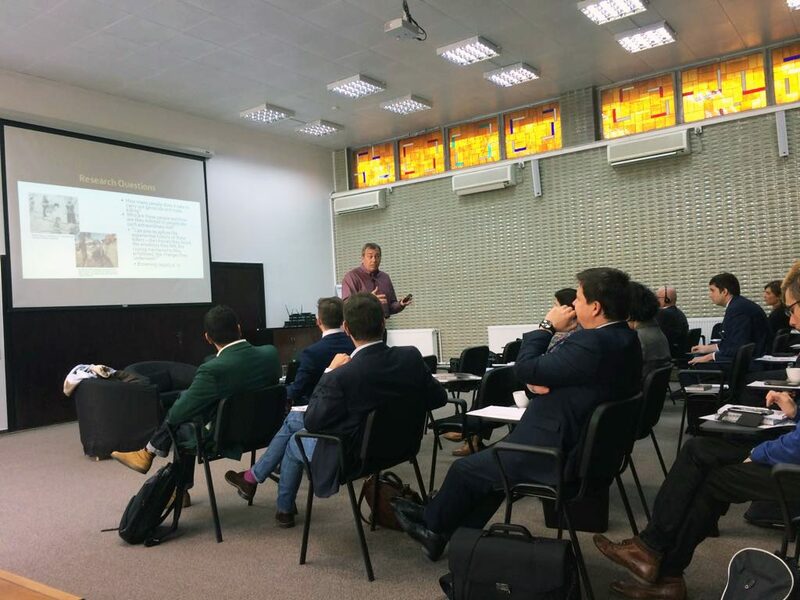 Attendees were equipped with the practical competencies necessary for the prevention of atrocities and given an opportunity to examine the emergent norm of the Responsibility to Protect as it relates to state sovereignty. Finally, the attendees participated in an activity which examined the construction of a national structure of state officials for atrocity prevention as well as regional cooperation and network building. Over the course of the two-day training, a variety of modules were presented in both English and Romanian. Following an introduction to genocide, atrocity crimes, and their prevention by AIPR’s Academic Programs Director Dr. James Waller, Mr. Vahidin Omanovic of the Center for Peacebuilding in Sanski Most, BiH, led participants in an exercise entitled “The Role of Identity in Genocide and Mass Atrocity.” Mr. Irinel Rotariu, Chief Deputy Military Prosecutor at the Military Prosecutor’s Office in Iași County and Mr. Adrian Cioflanca, Director of the Centre for the Study of Jewish History in Romania presented a case study on military justice and policy development in Romania. The first day concluded with a site visit to the Romanian Holocaust Memorial Museum and to the future site of the National Museum for Jewish History and the Holocaust, led by Mr. Marius Cazan from the Elie Wiesel Institute for Studying the Holocaust in Romania. Opening the second day of the training, Dr. Waller delivered his module entitled “Becoming Evil: How Ordinary People Commit Genocide and Mass Atrocity.” Ms. Elke Koning, Africa/ACP Counsellor, Permanent Representation of the Kingdom of the Netherlands to the European Union, next delivered an introductory module on the Responsibility to Protect, emphasizing opportunities for upstream prevention. Complementing this, Dr. Tibi Galis, Executive Director of AIPR, followed Ms. Koning with a presentation on introductory concepts in transitional justice, highlighting effective downstream strategies. The event concluded with a case study led by Ms. Merita Maksuti on healing from post-conflict trauma and a concluding module by Dr. Galis on the role of government in prevention, featuring the work of National Mechanisms for the Prevention of Genocide. The seminar was marked by active engagement by the participants who brought a wide range of diverse perspectives and expertise from their different ministries and institutions. Participants are now in the consultation and planning stages for providing additional expanded trainings for new representatives as well as institutionalizing their approach to prevention at both the national and regional level. This training was part of an ongoing effort to develop a network of states in the Mediterranean Basin region dedicated to genocide prevention. The Mediterranean Basin Network will allow states to cooperate at both the regional and national levels, through training seminars and policy development, for the prevention of atrocity crimes.